Subtle passing elements like dredging traumatic memories of Chris' childhood, closing up the cellars due to "black mould", the perfunctory allegiance to Obama and knowledge about golfers like Tiger Woods that liberals think will assuage their guilt in public eye, and flaunting travel souvenirs as evidence for one's ethno-friendliness reflects the insidious racism still prevalent in society. So even if buying and selling slaves might sound incredulous and implausible today, Peele refers to this new wave of clandestine racism which manages to ostracise, suppress and exploit blackness to this very day. Jordan Peele’s Get Out presents itself as a horror film, as it toured and won hearts at the Sundance Film Festival earlier this year, and when it finally hit the screens, it was clearly much larger than that with a lot more at stake. The genre itself has suffered much in the last few decades, at the hands of badly written films and half-hearted remakes that induce not a shred of terror and instead make us question its potency. 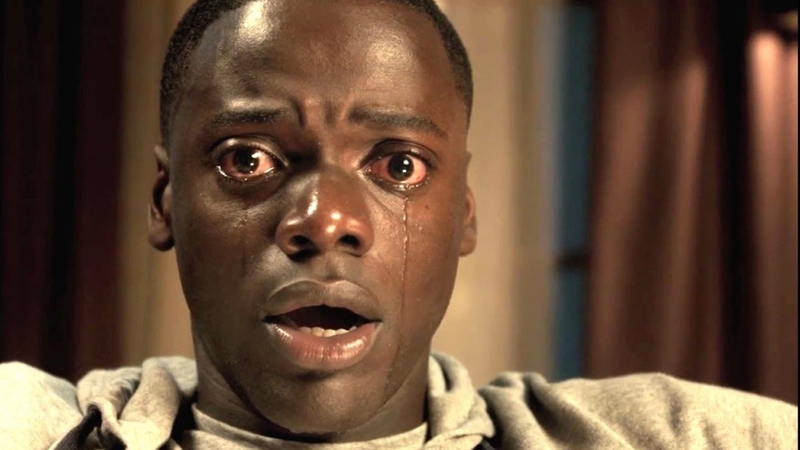 Get Out has been one of the most satisfying experience for horror film geeks who have grown up with such classics as Rosemary’s Baby, Guess Who’s Coming to Dinner, and I take immense pleasure from the fact that I found it more terrifying than the spook-fest that was Under The Shadows, Iranian director Babak Anvari’s political horror film from last year. A cross between psychological, horror and social thriller, Get Out sets out with a huge responsibility and the mammoth task of portraying white supremacy, racism, and 21st-century liberalism as its maleficent agents. Set in a post-racial America, the narrative pivots around Chris and Rose’s weekend getaway to the former’s upstate country house to meet her parents. It is not until 17 minutes into the film (which sounds just about the average time taken for eerie things to start happening in your standard horror film) that we have the first sighting of the “ghosts”. This is however preceded by a rather off-putting prologue starring Lakeith Stanfield, who is jumped by helmet-wearing faceless hooligans to the tunes of Run Rabbit Run. But you brush this aside as soon as the indie credits start rolling and Childish Gambino croons Redbone while the camera lingers on various facets of Chris and Rose’s relationship—we learn Chris has an “eye” for photography, he is skeptical about the impending vacation, Rose helps him pack and they make love later. Ivory blends into ebony, and as progressive politically correct audience, we are unperturbed by the inter-raciality of this very handsome couple. Very insidiously, the film takes us on a journey into the heart of darkness and plunges Chris into bottomless terror for his own life and safety at the Armitage mansion. What ostensibly sets off this chain of events is the ominous running over a deer, whose utter helplessness Chris relates with and whose place he almost takes by the end of the film. Played by British actor Daniel Kaluuya, Chris is like a deer in the headlights throughout the film, especially with his huge bulbous eyes you could swim in. Gambino’s prophetic warning “Stay woke, /Or they gon’ catch you sleepin’” rings true in retrospect and for Chris, who slips perfectly into the archetypal role of an oblivious and naive protagonist, this entire experience soon feels like a horror film when he finds himself hypnotized by his girlfriend’s mother, strapped to a leather armchair and made to watch a home video, to help him realize why his brain/eyes should belong to a white man- that’s his divine purpose. The best comeuppance, however, arrives when Chris uses cotton from the armchair upholstery to plug his ears and avoid aural hypnosis. Recurrent metaphors like the eyes and the deer suggest the underlying currents of something sinister which becomes more and more evident as the film progresses. Rose’s is the trickiest character arc in the entire film; from a preppy white girl to a full-blown psychopath, the key to unraveling her psyche lies in her pretend naïveté and display of unquestionable defense of and loyalty towards Chris that People emphasizes upon greatly from the very beginning. 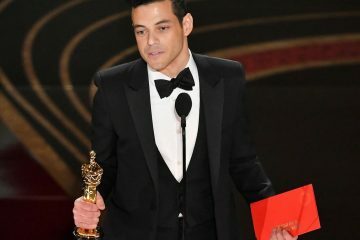 Alison Williams reassures him there is no cause for worry, stands up against police discrimination that African-Americans face even today and is flabbergasted when her brother Jeremy becomes physically aggressive at the dinner table (because he can’t handle the “myth” of Chris’ genetically inherited superior bone structure). Chris obviously buys into this and tries not to blow, what he thinks is white guilt and exaggerated hospitality, out of proportion. Who wants to perpetuate racial stereotypes of violence in black communities, right? Chris perhaps thinks he can and should let this slide by, for a couple of days, for love. In this, he resembles Lakeith’s Andre who did not want to pick up a fight with the hooligans who had been tailing him pre-attack. Which brings us to the “ghosts”. The discovery of a groundsman and housekeeper—both black—on the Armitages’ estate, is appalling to Chris as well as to the audience, and it makes you want to scream “GET OUT!” to Chris then and there. These figures are not your typical supernatural figures, but their impact and other-worldly presence create the intended effect, especially when equipped with plastered slavish smiles and blank hollow stares which make it very clear that they don’t take orders from anyone. They are unfamiliar with modern colloquialisms, reasons for which are revealed later in the horribly twisted trade of organ harvesting that this suburban white community has been indulging in, away from the scrutiny of prying urban eyes. The most spine-chilling scene is perhaps the all-white garden party which soon culminates in a bingo match turned silent auction for slaves. Andre is seen here, escorting a much older white woman; he behaves, dresses, walks and talks like a white man (he has been ‘turned’ of course) until he has an aggressive seizure provoked by Chris’ camera flash. I like this film because of these metaphors because it is thorough. Subtle passing elements like dredging up traumatic memories from Chris’ childhood, closing up the cellars due to “black mould”, the perfunctory allegiance to Obama and knowledge about golfers like Tiger Woods that liberals think will assuage their ignorance and guilt in public eye, and flaunting travel souvenirs as evidence for one’s ethno-friendliness reflects the insidious racism still prevalent in society. So even if buying and selling slaves might sound incredulous and implausible today, Peele refers to this new wave of clandestine racism which manages to ostracise, suppress and exploit blackness to this very day. Michael Abel’s deceptively clinical background score, coupled with a Twin Peaks-esque production design creates the right atmosphere, only bettered by the ensemble cast that pulls off this intricate plot with panache. Indiewire calls the film “a paragon of the horror genre’s ability to embed social commentary in a thrilling package of mass-market entertainment” and you have to watch it to believe it. Meanwhile, stay woke. PRARTHANA IS A STUDENT OF LITERATURE, TRYING TO FIGURE OUT LIFE ONE BOOK AT A TIME. IF YOU RUN INTO HER AND SHE IS HUMMING A SONG TO HERSELF, IT IS PROBABLY FRANK OCEAN OR SUFJAN STEVENS. SHE LOVES CAMUS, BASQUIAT, FRANCES HA, SOUFFLE, PEOPLE WATCHING AND TUMBLR, BESIDES PROFESSIONALLY CRITIQUING FILMS.